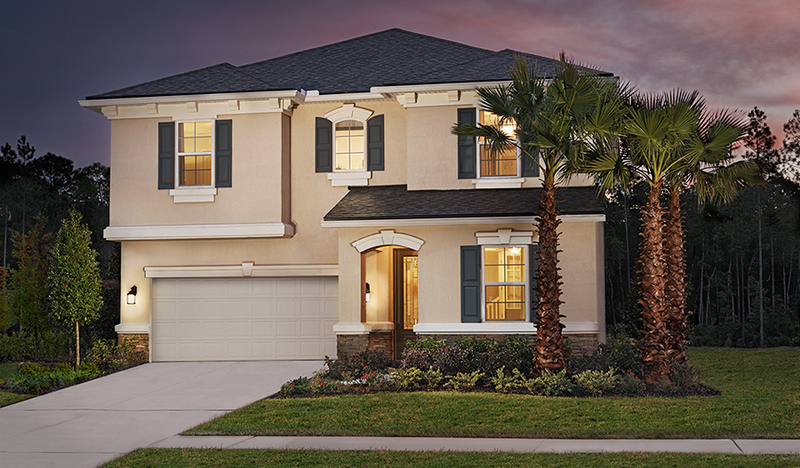 This new model home showcases the best of the Bradford plan. It boasts an open main-floor layout with a generous dining room, an inviting great room and a gourmet kitchen with a walk-in pantry, a center island and elegant French doors leading to the covered patio. The quiet study also features French doors off the entry. Upstairs, you'll find a convenient laundry, a roomy loft and a lavish master suite with dual walk-in closets and a deluxe bath.